Have proceeded with my softrock Ensemble tranceiver. So far I have finished the steps involving the receiver. And I’m amazed. What a great little piece of equipment. 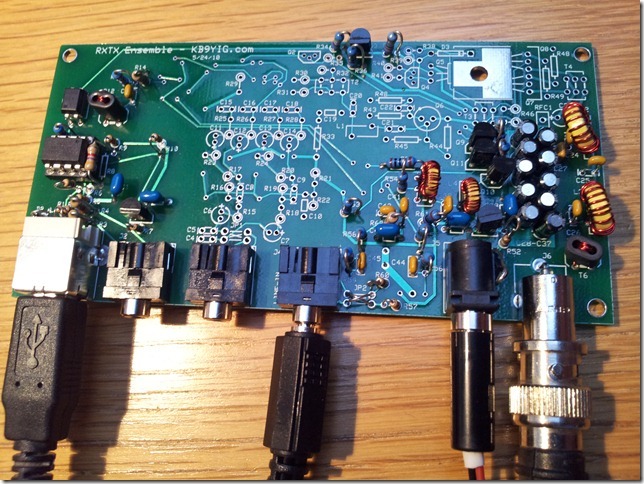 Have spent a couple of weekends now just playing around with receiver part and HDSDR as software. Can receive from 80m up to 10. Its a joy having it all on the screen and adjusting filters by just clicking and drag with the mouse. 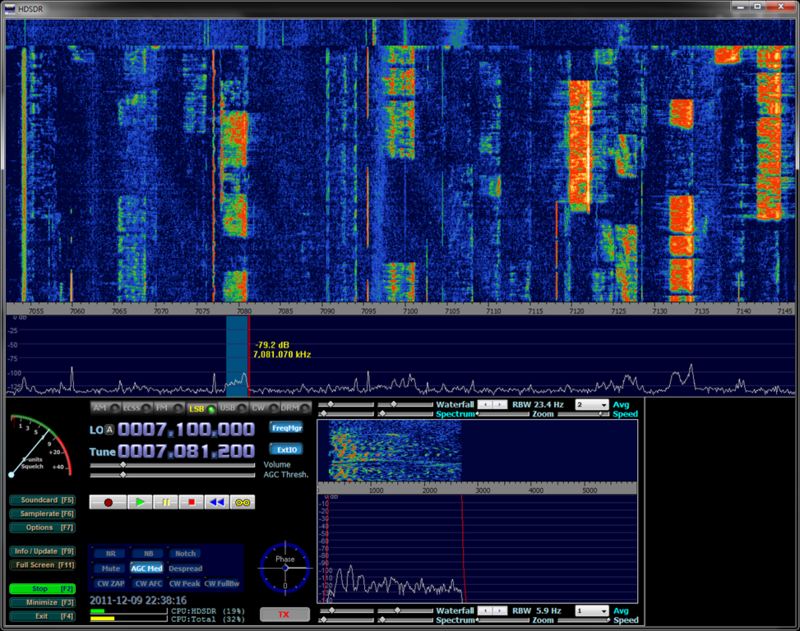 You get a great visibility of signal quality on the stations you are listening to. Here is a pic of the rig. Still missing the part for the transmitter. 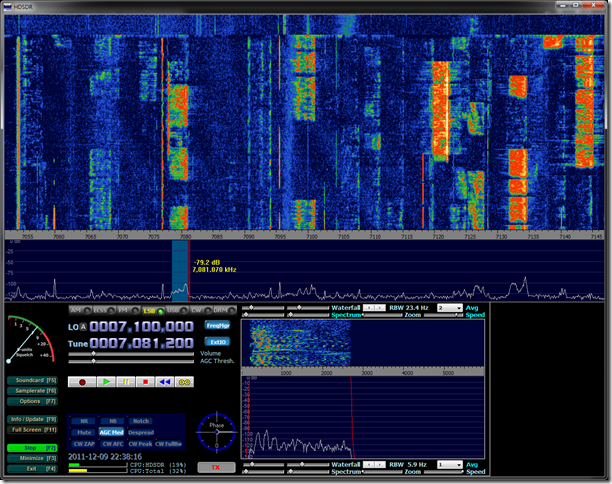 Listening to a JA station on 40m as I write this. If you like using your soldering iron and you like computers you just have to try this one….